Home > Women on Spotlight > Fangirling Moment: Watching Melanie C from the Spice Girls perform LIVE! Regular readers of my blog know that I am a massive Spice Girls fan. I proved that here, here and here. I am not ashamed to admit that my dream city to visit and live in as a child was London because of the Spice Girls. I was also an expert in doing the British accent by watching MTV Asia features on the girls. I learned how to use the internet because of the Spice Girls. I developed my singing and dancing skills because of the Spice Girls. I collected more pop records because of the Spice Girls. I am what I am mainly because of the Spice Girls. 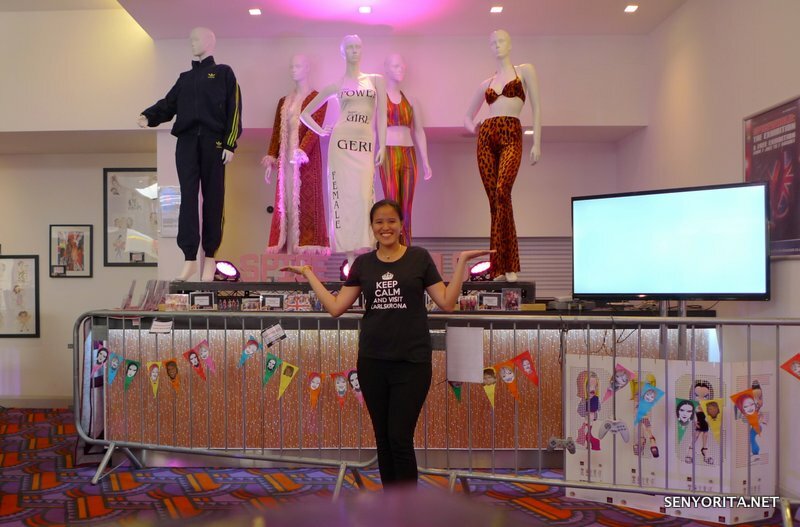 I traveled to Watford one afternoon just to take a glimpse of this Spice Girls collection! Those who are not fans may think I am crazy, but hey, I am telling the truth! It is the reason why when I meet someone who is a big supporter of the Spice Girls, I consider them automatically as friends. I know he/she knows what I’ve been through as a child and I know that person was inspired to hustle hard to achieve his/her dreams. I just know. Last year, the Spice Girls reunion popped up once again. Three of the five members (Geri, Emma and Melanie B) wanted to do a reunion album and tour to commemorate the 20th anniversary of the Spice album. Some fans of the Spice Girls were disappointed when two other members (Melanie C and Victoria) didn’t agree to the proposed reunion. Melanie C has an album coming out and Victoria Beckham? Well, my favorite Spice Girl is busy with her fashion empire and her family life. 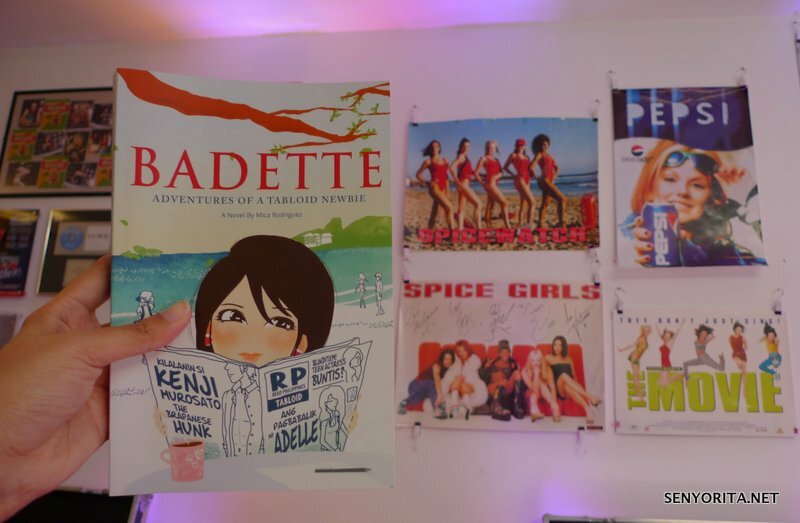 Even my novel Badette: The Adventures of a Tabloid Newbie has a lot of Spice Girls references! #ReprintingSoon #WhoWantsEnglishVersion? For me, I can see a reunion possibly on the 25th anniversary. They did a reunion tour 10 years ago and they didn’t finish the whole leg and it ain’t Posh or Sporty’s fault. Just saying. Anyway, I am not blogging right now to defend the two ladies. Devoted fans must know by now that the 20th reunion is not really possible because the two girls are busy with their own business. Also, Geri got pregnant, Emma ventured in another business and Melanie B now has an ongoing marriage battle to focus on. Okay, sorry for that long intro. Let me go straight to the point! I flew to the UK twice in 2016. Thanks to Philippine Airlines, I was able to join my family in the UK twice! And yeah, I still have a LOT of backlogs to work on. I think Melanie C announced her Version of Me UK and Europe Tour sometime in October 2016. I was already back in the Philippines then after spending three months in the UK. I wasn’t confident that my visa application for the holiday season will be granted, so I didn’t buy any ticket in advance. Geez, I’ll be staying in the UK on winter and spring time. All the pop acts I loved growing up will start their tours by June! There’s All Saints, Take That, Bros, Vengaboys, Steps… Huhu. 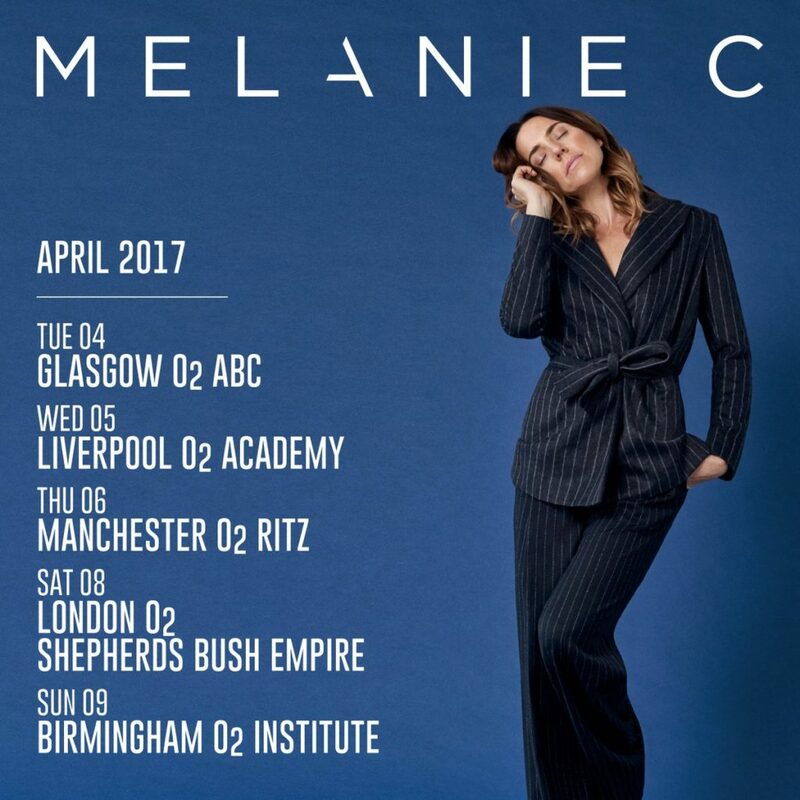 But there’s Melanie C for April! I didn’t really get a ticket even if I was already in the UK. My decision to finally go was last minute. 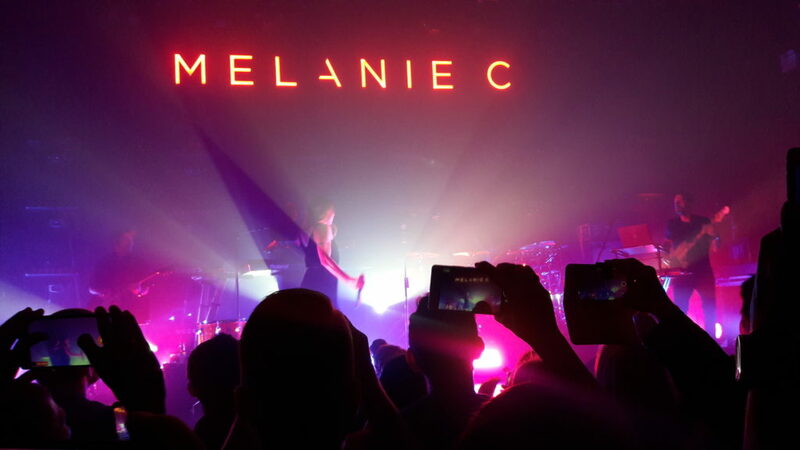 Thanks to the encouragement of my mom and my stepdad, I was able to get a ticket for the Birmingham leg of the Melanie C Version of Me Tour! I had a phase when Melanie C a.k.a. Sporty Spice was my favorite. I just love her voice and energy! Later on though, I fell more deeply in love with Geri and Victoria. When Melanie C released her first album ‘Northern Star’, I was stunned with the first single (Goin’ Down). AnubaSiAteh! Bakit ganun ang hair?! Why cut your long hair? But when I finally listed to the album (salamat sa cassette tape Kuya Jajo! ), the album grew on me. By the time Northern Star song was released, I appreciated her depth more. Live your life without regret. Don’t be someone who they forget. Then she scored a top hit with Never Be The Same Again, a collaboration with TLC member Lisa “Lefteye” Lopez. I remember watching the MTV performance of the two thinking wow, this is a special collaboration! Too bad Lefteye passed away early. By the time Melanie C released ‘Reason’, I got frustrated because I felt she didn’t release the right singles. By the time her third album was released, it wasn’t promoted in Asia (she left her record company and started her own). Just like any Spice Girl fan my age, it is hard to admit that I wasn’t able to track her progress as a solo artist. Why? Life happened. I became an adult! I just know she release songs from time to time, but I never bought any of her albums. When she came up with Version of Me, I listened to the preview and I wasn’t that impressed. Sorry na! I love her single ‘Anymore’ and I think ‘Dear Lie’ is a good song. I want her to release ‘Room for Love’ as a single followed by ‘Loving You Better’. Trying to avoid the Version of Me Set List for the ‘surprise factor’, I decided to review my notes. Nah, I’m not taking an exam. 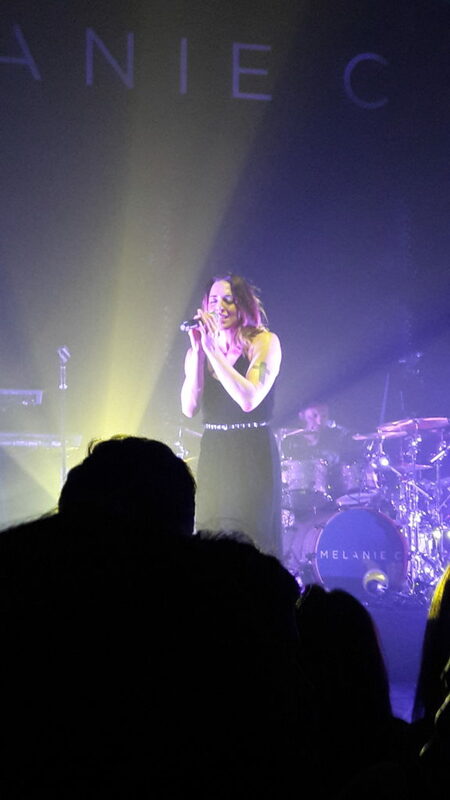 I want to be able to sing along as Melanie C performs her hits. I was singing my heart out at home a night before the gig of my Spice Girls faney life. On Instagram stories, I posted updates of me singing Goin’ Down, Never Be The Same Again and I Turn to You. Rakenrol! For this gig, I decided to go on my own. I tried to ask some friends, but they have their own kyemerloo that Sunday. Going on my own doesn’t mean I will be alone forever. I’m Better Alone #WhatsUpBetterAloneMelanieCSongReference! I went to a nearby McDonalds so at least I have something on my tummy without spending too much money (I don’t have that much moolah to spend that day HAHA). I was walking around Birmingham New Street and I thought 02 Academy and 02 Institute are the same… they’re not. I ended up getting lost but vlogged the misadventure anyway. That time, I was actually suffering from tendonitis (from my mom’s wedding). Walking too much and anticipating that I’ll be standing in the entire duration of the show made me nervous. What if I don’t make it back home because I am injured? The doors open at 7PM, but I was already in the venue at around 5PM. Thinking I was waaaay earlier than the others, I was shokt. Haba na ng pila! Like I imagined, I made new friends right away. 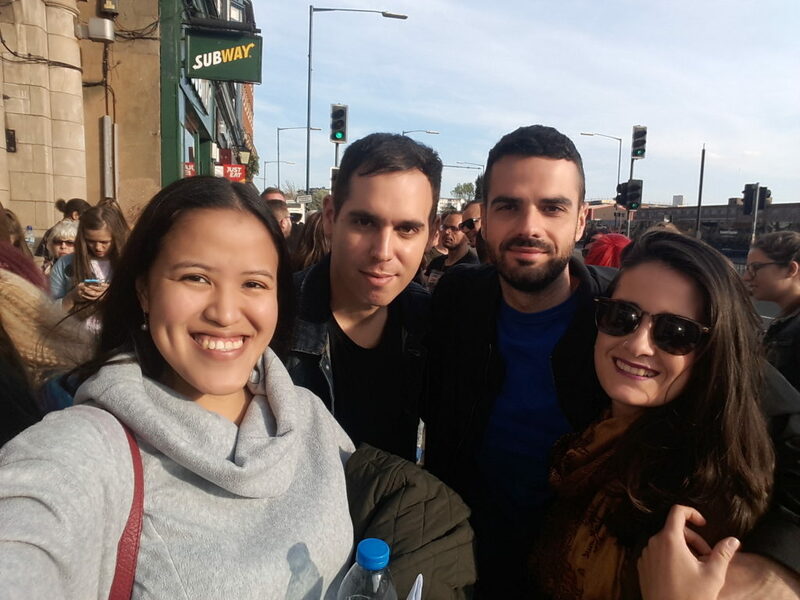 They’re all from Spain and they shared that they were also in the London gig a night before and saw Geri Halliwell. I missed the moment! I was hoping that probably Emma, Melanie B… or better Victoria shows up to show some love! While in line, we exchanged stories. Most of the fans around me were not speaking in English. I think most of them are Spanish and they seem to know each other. I bet they meet up everytime Melanie C has a concert tour. She is the only Spice Girl who still sings and goes on tour every now and then. So I was there with my fellow Spice Girls/Melanie C fans waiting for the queen of the night to slay onstage. ALEX FRANCIS served as the front act of the gig. Man, his voice is so smooth and his band performed well (and ahem, they’re good-looking!). I was planning of recording his set, but I had to save space and battery for Melanie C. The queen is the priority. I was just in awe when she started singing the first line of ‘Anymore’. She’s sooo powerful! Truly the Talented Spice! She sang songs from her Version of Me album and some of the old hits like Never Be The Same Again, Think About It, I Turn to You and Northern Star. I cried when she sang Northern Star because it reminded me of some tough moments and listening to pop records was my diversion. And yes, watching her sing Northern Star live is a dream come true. Actually, being there is a blessing and a true testament that dreams do really come true when you work for it. I didn’t record most parts of the show because I’d rather live in the moment. 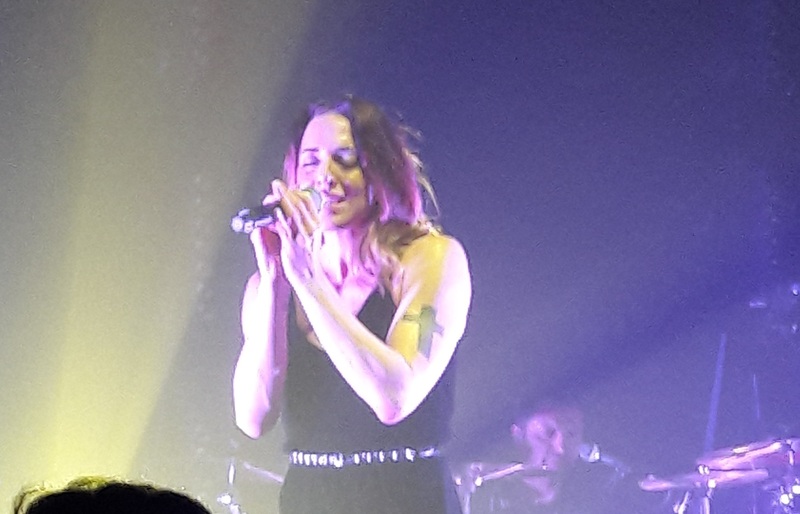 There’s a part in every Melanie C concert where she asks everyone to refrain from taking pictures or recording videos even in just one song. For the Birmingham leg, she chose ‘Loving You Better’, which is my favorite song from the album. The good part? Ninamnam ko ‘yung performance. Love it! It was surreal being there singing and dancing Melanie C’s songs with fellow Spice Girls fans from all over the world. We do not know each other, but I kind of feel like we’re all brothers and sisters united by our Sporty Queen. Over all, it was a night worth remembering forever! I saw Alex Francis on my way out of the venue so I approached him and asked for a photo. I hope his record company will promote his music in Asia as well. And Melanie C, please come to Asia! Come to Singapore! Fly to Hongkong! Visit Malaysia! Better though to Come and Experience the Philippines! Asian fans are waiting for you! Marami kami, I swear! Here’s my vlog with clips from the show. So I went home with a big smile on my face that night. Inspired, motivated and full of girl power! Are you a fan of the Spice Girls? Who’s your favorite? What are your favorite Melanie C songs? I love Melanie C! You’re so lucky you got to see her live in concert! 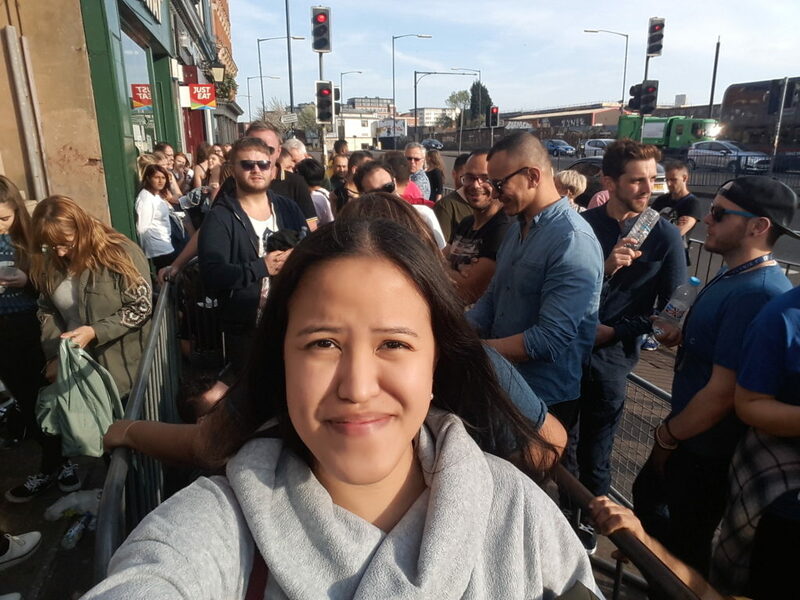 Thanks for sharing in so much detail – I felt like I was there too!